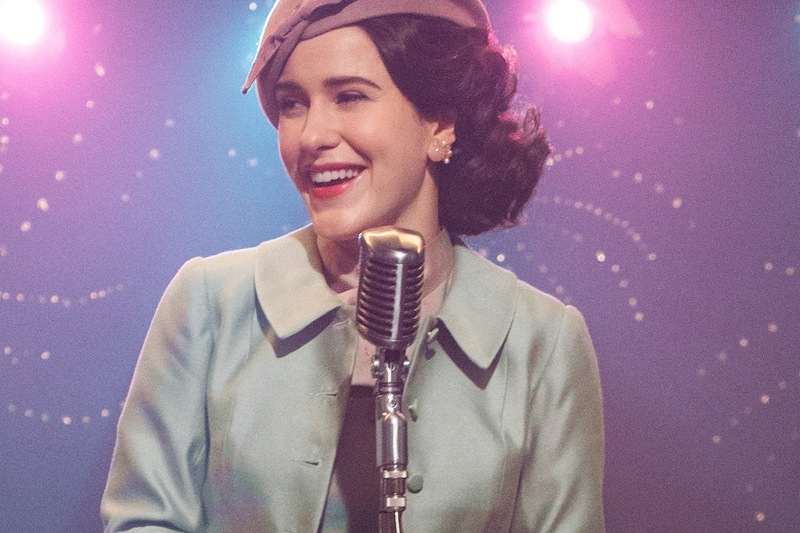 Towards the tail end of last year, The Marvelous Mrs. Maisel made its debut on Amazon Prime and, although it was acclaimed by many critics, it didn't make the impact it should have. I was always going to watch whatever creator Amy Sherman-Palladino did next. I was a massive fan of her prior work both the brilliant Gilmore Girls and the underrated Bunheads, so I was intrigued to see what she would do with an online platform. Thankfully, she didn't disappoint and introduced us to Midge Maisel (Rachel Brosnahan); a 1950's housewife who began a career in stand-up comedy following the disintegration of her marriage. Over the eight episodes that made up the first season, we saw Midge embark on a secretive career as a comic, thanks in part to the work of her manager Susie (Alex Borstein), with the series climaxing in what was her biggest gig up to that point. However, the event was bittersweet as her estranged husband Joel (Michael Zeagan) discovered the secret and left the event soon after. 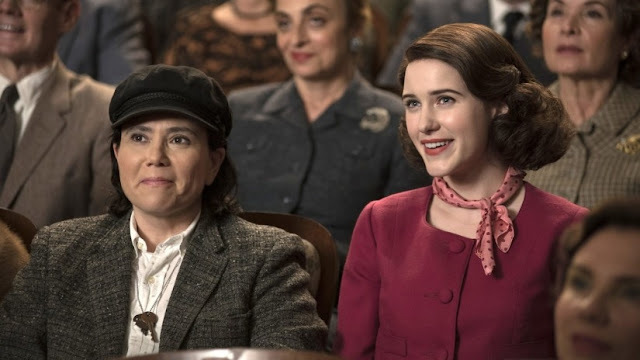 I binged on the first series in a matter of days, which is unusual for me, as I was entranced by Sherman-Palladino's recreation of 1950's New York and by the central breakout turn by the outstanding Brosnahan. Thankfully, since the first season debuted, Mrs. Maisel has become a word-of-mouth sensation with its momentum picking up substantially after winning a tonne of Emmys. The second season, which dropped on Amazon Prime today, has an odd start as Midge and father Abe (Tony Shalhoub) journeying to Paris after learning her mother Rose (Marin Hinkle) has secretively moved there. Setting the season two opener in Paris seemed to be an odd move, especially seeing as New York was almost a character in its own right in season one, but it climaxed in Midge revealing what happened between she and Joel after her gig. The setting for this revelation, in a French nightclub, sets off what becomes a recurring theme for season two as Midge can't help but start a stand-up set wherever she is whether this be a Parisian club, a colleague's wedding or a road trip with a potential beau. Whereas the first season had a specific story structure, with Midge gradually realising her talents as a comic, this season feels more episodic. Whilst Midge's career is still building up steam, Sherman-Palladino seems more intent on having self-contained stories whether that be our heroine organising a wedding or finding that her separation with Joel has had an impact on her family's yearly vacation to The Catskills. In fact, the narrative arcs that appear to be dominating this season involve the secondary characters namely Midge's parents and Joel. Whilst trying to get his head around Midge's new career path, Joel seems determined to turn his father's business around and help his parents better manage their money. This thread includes some brilliant scenes in which Joel helps track down the various bundles of money that his mother has hidden around the city. Meanwhile, Abe and Rose's journey is brilliantly told as they spend the first two episodes in Paris before journeying back to New York. During his time in France, Abe realises how much he's neglected his wife which results in him booking Rose onto an art course at the University where he teaches. One element of season two that I'm enjoying thus far is how much Hinkle and Shalhoub have been given to do and how their on-screen chemistry has greatly developed. Hinkle was a revelation in the first couple of episodes as she presents a different, freer version of Rose as she's let loose in the city that brings back youthful memories. Shalhoub is brilliant throughout the series as the grouchy Abe and the end of episode five sees him demonstrate how great an actor he is. As before though, it's Rachel Brosnahan who anchors the series as the hectic Midge who is still trying to keep her comedy life a secret from her family and friends. Brosnahan brings a confidence to Midge as well as a vulnerability which is clear whenever her separation from Joel is mentioned. She also shares brilliant chemistry with Alex Borstein, who as the foul-mouthed Susie, has found a role that she's able to sink her teeth into. It's Susie who really helped enliven the aforementioned episodes in The Catskills, which were my least favourite moments of the season that I've seen so far, as she pretends to be a member of staff at the private resort by carrying a plunger with her at all times. 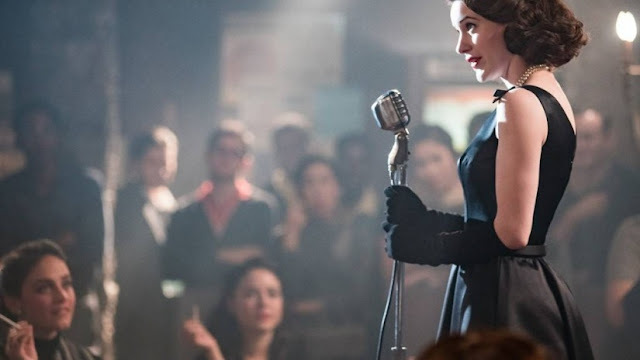 I'm currently up to episode five of Mrs. Maisel's second season and whilst it's not quite on a par with this point of season one, I've still thoroughly enjoyed what I've seen so far. Whilst I haven't found the story as strong as the season's first run, Sherman-Palladino's trademark snappy dialogue is still on point. Midge's stand-up sets are particularly brilliant, as are some of the set pieces between Rose and Abe and Susie's various expletive-filled diatribes. I've also appreciated the direction and production design of the series more this time round with the team's period detail continuing to be outstanding. Although from a storyline point-of-view, I wasn't a fan of The Catskills scenes, I thought they looked fantastic and demonstrated how great the production team truly was. As I'm at the halfway point of the season, I can't give an ultimate view on the season so far but if you enjoyed it the first time around I think you're in for a treat. The cast continue to impress, whilst the production design has improved if anything and the dialogue is just as great as ever. Whilst, at this point in time, I don't believe it's on par with the first season, I'm willing to be proved wrong by the episodes I've not yet seen. But, despite a few minor niggles, I believe that Mrs Maisel's encore performance doesn't disappoint and with Amazon already committing to a third season, I'm more than happy to come back for more.